After months of training and skill development at Hadassah Hospital Ein Kerem, NK, age 26, is ready to join Israel’s workforce and begin her life as an independent adult. What makes that unusual is that NK is a young woman with special needs. Nonetheless, five days a week she labels, restocks, and delivers formula bottles to parents whose infants are being cared for in the Pediatric Oncology Department. NK is one of 23 special needs employees who work at Hadassah through a partnership with Elwyn, an organization that serves the special needs community in Israel. Elwyn’s partnership with Hadassah was initiated by Elwyn’s placement consultant, Sara Noah, in 1994. Ms. Noah had spent much of her life volunteering with people with special needs and helping to integrate them into the community. Hadassah was a perfect match for the special needs adults. Today, participants work in the dining room, the kitchen, medical storage, and delivery. Others learn equipment sterilization and change bedding in the nursery. “Due to cognitive disabilities that many people with special needs have, simple skills like interacting with superiors and coworkers and organizing a workspace do not come easily to them,” said Ms. Noah. That doesn’t mean that they are incapable of developing proper work skills, she insists. By starting as volunteers at the hospital, NK and other trainees are able to learn the details of a job, time management, and how to navigate work relationships. Getting to understand and grow from criticism is often a key challenge. “We want them to be the best worker they can be,” Ms. Noah said. She is constantly evaluating the participants’ skills in order to decide whether they are ready to take on additional challenges, sometimes resulting in paid positions. 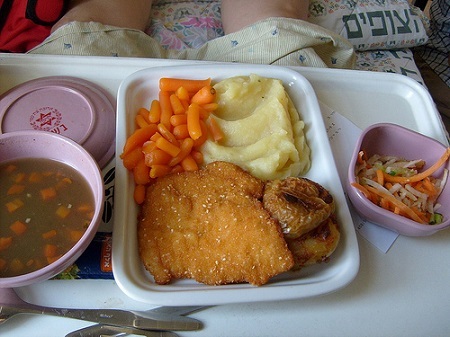 Hadassah Hospital contributes by subsidizing food and transportation for the trainees, as they do with all employees. In addition to the program for adults, Elwyn and Hadassah offer occupational training to high school students with special needs. That allows them to learn all the necessary work skills before volunteering to do their national service or army service. “Because of this program, the students are more capable and independent for the future,” said Ms. Noah.